We strive to sustain our business with long-term relationships that have been carefully cultivated over time. In fact, much of our new business is the direct result of referrals we receive from existing customers. We figure if we nurture and care for each and every customer the same, then new opportunities will bloom. 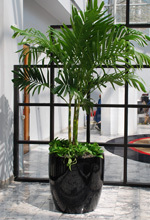 Contact Interior Plantscapes today and begin developing your indoor landscaping. We work with you to make sure we provide exactly what your business needs. Click the links below to find out how plants can benefit your company. We help you create an atmosphere of success. Living plants are a perfect way to "warm up" your space. Plants elevate the stature and appeal of any academic setting. Create a warm, inviting atmosphere for your guests. Promote health, warmth & beauty with living plants. 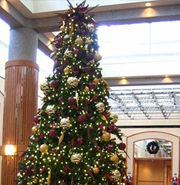 At Interior Plantscapes, our goal is to exceed your expectations. That applies not only to the quality plants and products we provide, but to all our services. 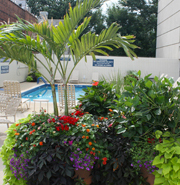 We understand that our customers need to be nurtured with the same care and attention that we nurture our living plants. 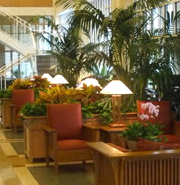 With our plant rental services, we lift the indoor landscaping task off you, and place it squarely on our shoulders. From conceptualizing the right mix of plants for your office, special occasion or event…to taking care of your plants and ensuring their health and vitality week after week. 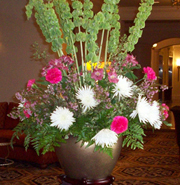 We also offer plant rental services for outdoor venues, holiday décor, floral arrangements, and special event designs.